The Shema (Deuteronomy 6:4-9) commands, "And you shall write them on the doorposts of your house and on your gates." To fulfill this commandment, the Shema is written on a tiny scroll of parchment along with a companion passage, Deut. 11:13-21. The scroll is placed in a case and affixed to the right side of every doorpost at an angle while reciting a special blessing. 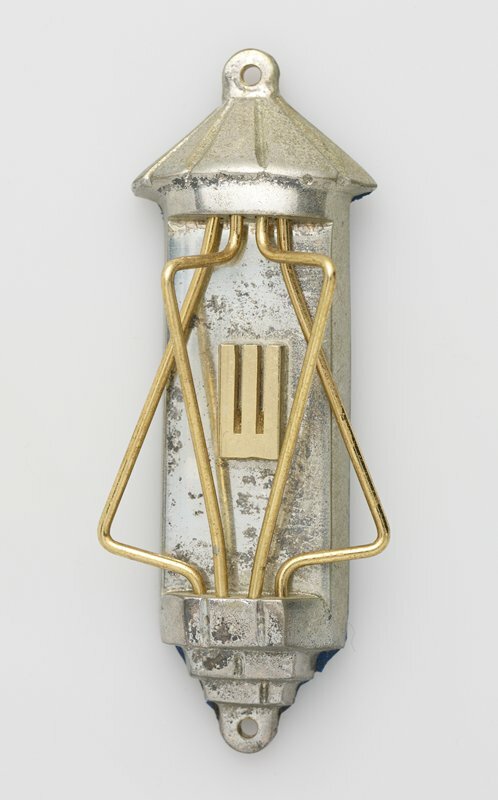 This mezuzah is from the Metropolitan-Mount Sinai Medical Center, which closed in 1991.